February 1862. The Civil War is less than one year old. The fighting has begun in earnest, and the nation has begun to realize it is in for a long, bloody struggle. Meanwhile, President Lincoln’s beloved eleven-year-old son, Willie, lies upstairs in the White House, gravely ill. In a matter of days, despite predictions of a recovery, Willie dies and is laid to rest in a Georgetown cemetery. “My poor boy, he was too good for this earth,” the president says at the time. “God has called him home.” Newspapers report that a grief-stricken Lincoln returns, alone, to the crypt several times to hold his boy’s body. 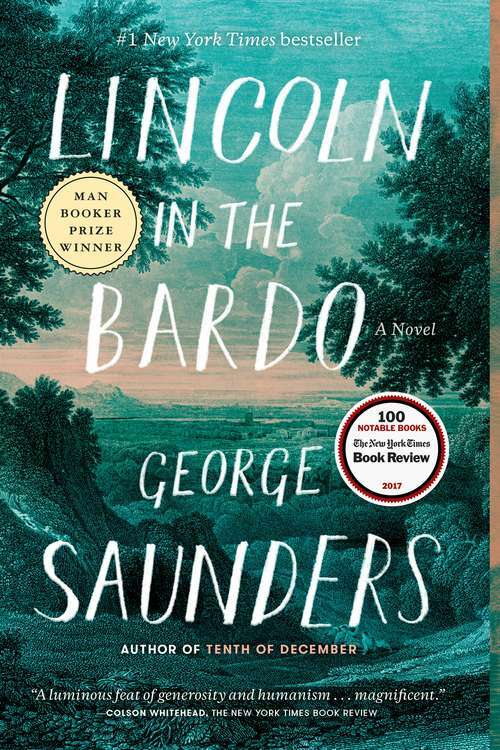 Lincoln in the Bardo is an astonishing feat of imagination and a bold step forward from one of the most important and influential writers of his generation. Formally daring, generous in spirit, deeply concerned with matters of the heart, it is a testament to fiction’s ability to speak honestly and powerfully to the things that really matter to us. Saunders has invented a thrilling new form that deploys a kaleidoscopic, theatrical panorama of voices to ask a timeless, profound question: How do we live and love when we know that everything we love must end?